Our Cylinder Shims / Endshake Bearings and Yoke Bearings can reduce the Total End Play on the Cylinder. 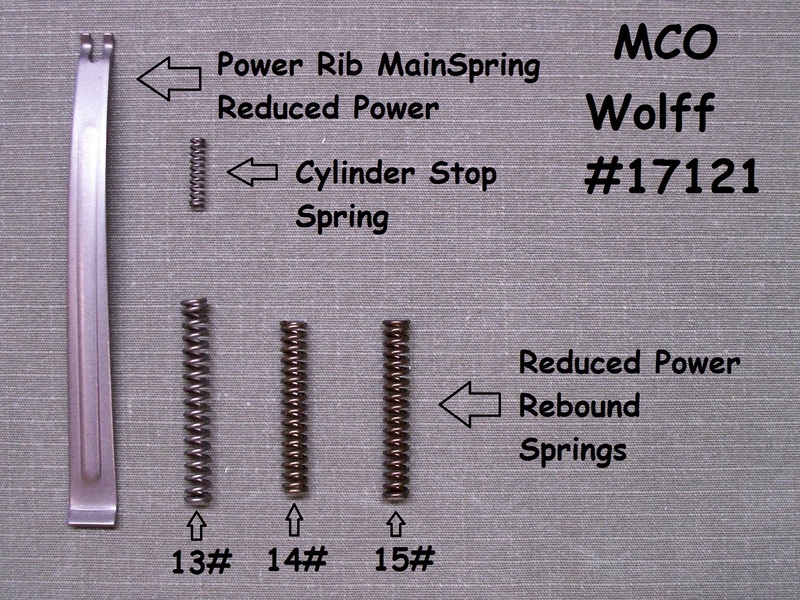 We also have Wolff GunSprings Power Rib Shooters Paks Available. 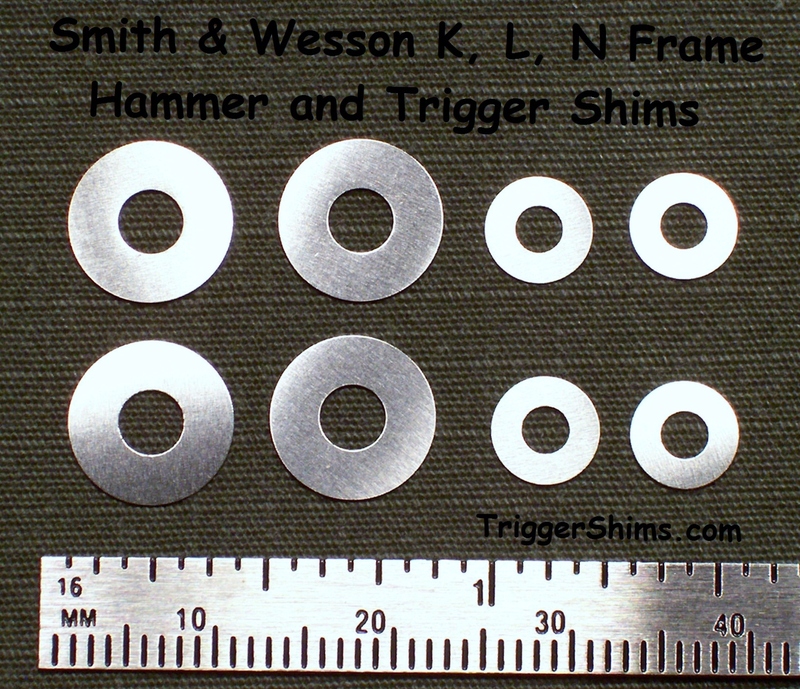 My Custom Made Shim Washers for the Smith and Wesson K, L, and N Frame and X Frame revolver will allow you to center the hammer and trigger, eliminating drag caused by these parts rubbing the frame. Our Shim washers are made of 300 Series Stainless Steel, custom manufactured specifically to fit the K, L and N Frame. Order Box for X Frame is listed below K, L, and N shims. 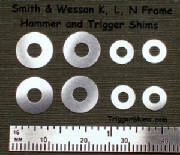 Stainless Steel K, L, N Frame Shims for the Hammer and Trigger Pin. Three Standard Thicknesses, .002", .003", and .005"
12 Piece Kit comes with 4 each in .002", .003" and .005"
24 Piece Kit comes with 8 each in .002", .003" and .005"
32 Piece Kit comes with 8 each in .002", .003", .004" and .005"
begin by installing a shim on each side of the Trigger and Hammer, re-install the frame side plate (without springs) and check for binding. If the Trigger and Hammer move freely, continue to add shims. At the point you begin to trap or bind the hammer and trigger, you will have your approximate free clearance, and you can then remove shims and install the proper amount, leaving a final clearance of around .003" to .004" - and reassemble the unit complete. I suggest a 12 Piece Kit to provide ample Shims for this procedure. H&T Assortment Paks are the same as K, L, and N Frame above. Nominal O.D. of .376" X I.D. 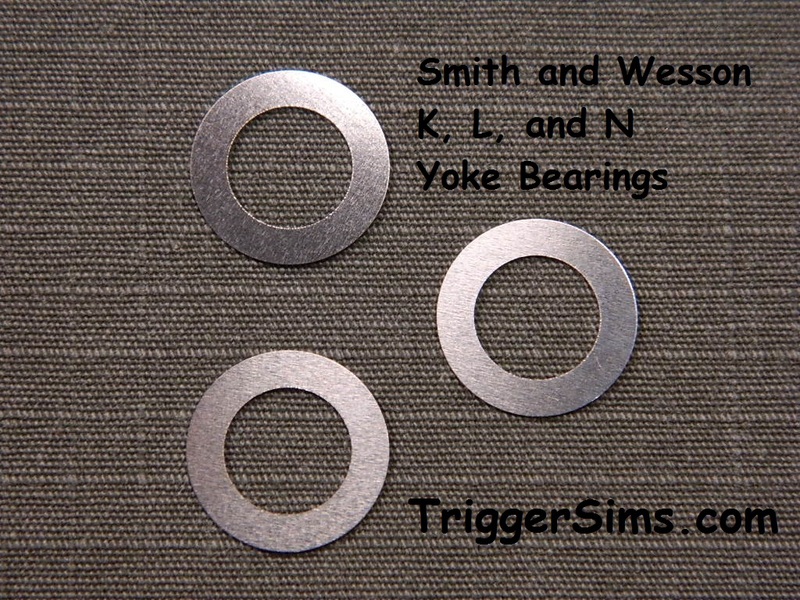 of .265"
Yoke Bearings are necessary when setting up the Yoke and Cylinder for Minimum Endshake, especially on S&W Models (1988 Series & Later) that have the Spring Loaded Plunger in the Front Side Plate Screw. Nominal O.D. of .498" X I.D. of .314"